Hello! My name is Dr. Lauren H. Lee, but my patients simply call me, “Dr. Lauren.” Thank you for taking the time to read about me and our philosophy here at Orange Beach Family Dentistry. I want you to know that my mission is to make your experience the best it can possibly be. Whether you come in for a simple cleaning or need major restorative work, rest assured that our goal is to make every patient interaction a positive one. Our entire team is dedicated to providing caring and compassionate dental care. We always strive to put your needs first and ensure that you are comfortable and well-informed. Whenever possible, we work to conserve your existing teeth and related structures for as long as possible. I work closely with my patients to develop comprehensive and sustainable treatment plans that take your overall health and long-term goals into consideration. As a young child, I saw how my father, a radiologist, worked to help educate his patients and make them feel comfortable. The example he set for me is one I continually work towards and is the basis from which of all the care I provide extends. No matter your exact situation, I promise to work to preserve and improve the overall health of your smile. Dr. Lauren grew up in Dothan, Alabama. She has wonderful memories of her annual family vacations to the Alabama Coast, which laid the foundation for opening her dental office in Orange Beach, Alabama. Dr. Lauren attended Barnard College of Columbia University right in the heart of New York City, where she received her bachelor of arts in Biology with a minor in Dance. Although moving from small town Alabama to Manhattan was a big transition, she is grateful for the variety of experiences she had there. 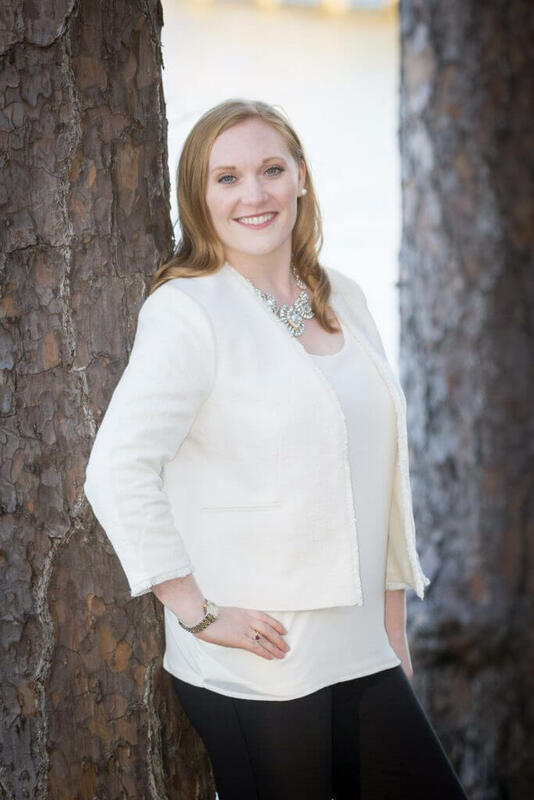 Dr. Lauren attended dental school at University of Alabama Birmingham (UAB), where she earned both the Alabama Dental Association Student Scholarship and the Third District Dental Society of Alabama Scholarship. One of her most memorable experiences in dental school was traveling on dental mission trip to Nicaragua. After graduating from dental school, Dr. Lauren attended a 12-month Advanced Education in General Dentistry (AEGD) residency at the Foundry Dental Center in Bessemer, Alabama. During this residency, she learned advanced dental techniques with a focus on advanced oral surgery procedures. This education included advanced techniques for surgical tooth extractions, placing and restoring implants, and bone grafting including sinus grafting. Dr. Lauren is highly committed to staying up-to-date with new techniques and technologies. In order to provide her patients with the best care, she regularly attends numerous continuing education courses each year. She is an active member of the Alabama Dental Association, the Academy of General Dentistry, the American Academy of Facial Esthetics, the Escarosa Dental Society and the Baldwin County Dental Study Club. In her free time, Dr. Lauren enjoys spending time with her family and friends, attending events with the Flora-Bama Church, walking on the beautiful local beaches, baking, and traveling. She also is an active participant in the Coastal Alabama Business Chamber and the Perdido Key Area Chamber of Commerce.